Since I got such a great response from my dark chocolate chip and hazelnut cookies, I decided to make more for y’all! 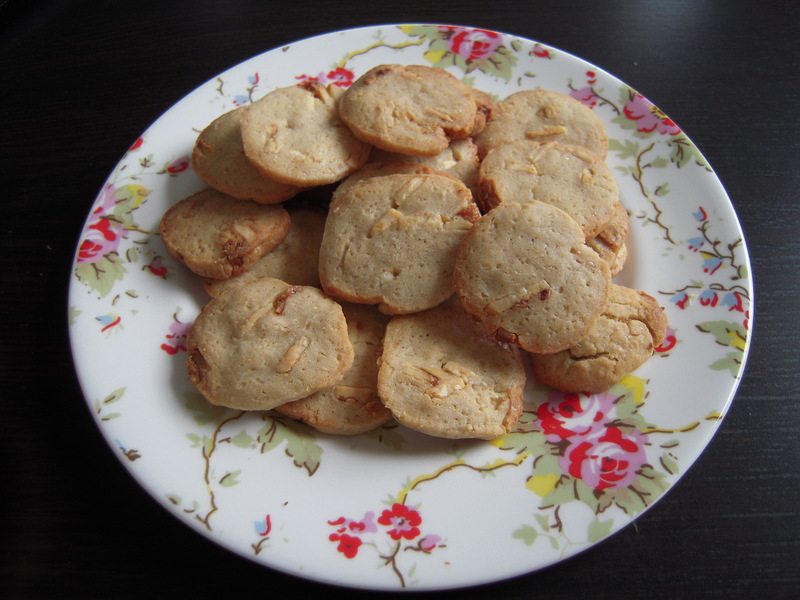 So here I represent to you… white chocolate chip cookies! I would definately recommend adding macadamia nuts if you have any, but I just didn’t have any on hand! Also, real life update: how is this year going so quickly?! Its Easter already, and I’ve only got about a week left of days at school until I’m in sixth form. SAY WHAT? 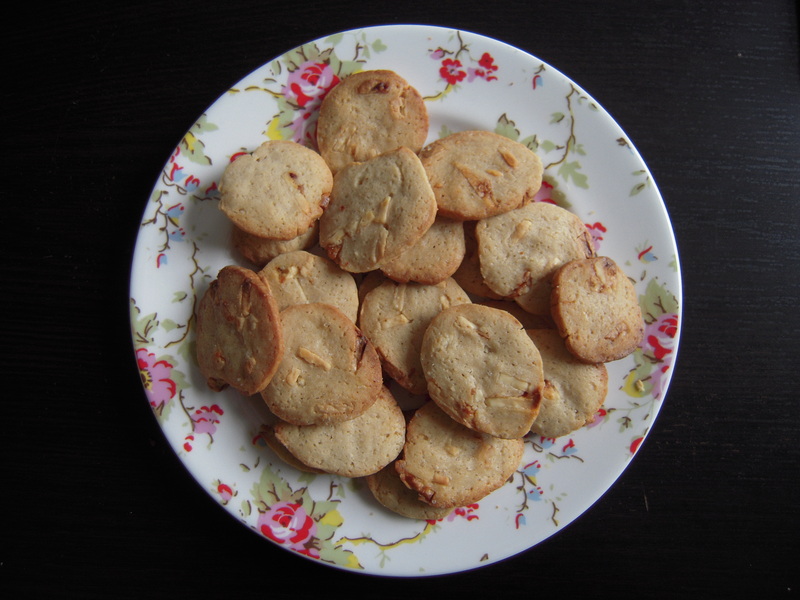 But anyway, these cookies are delicious so try them out and let me know what you think! Add the white chocolate chips and optional macadamias and wrap into parchment paper into a log shape and put in the freezer for atleast two hours. After freezing time, preheat the oven to 180 degrees Celsius and take the cookie dough out. When the oven is preheated, bake for about 10 minutes or until they are lightly golden around the edges (as they will harden as they cool). hmmp. .sound delicious! 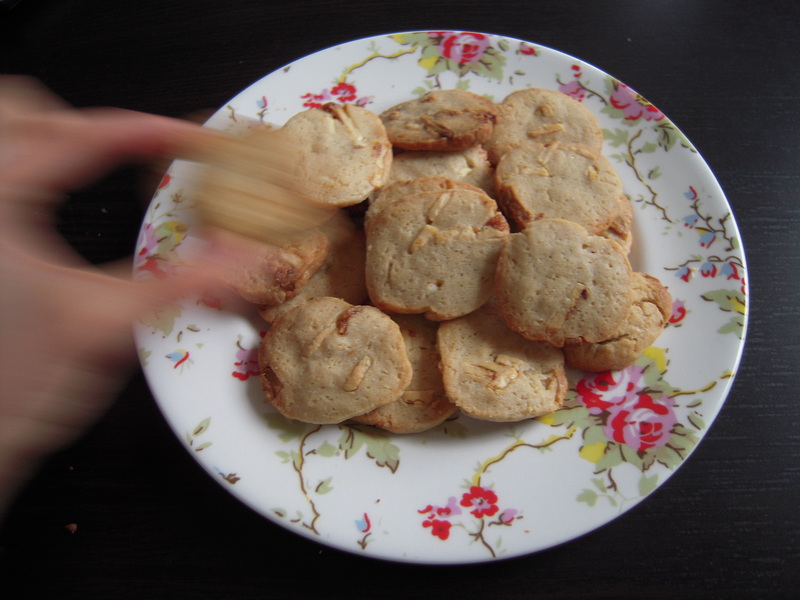 I love white chocolate chip cookies.